The Slack Lane Baptist Church on Slack Lane, Oakworth has closed in July 2018 after 199 years as a religious chapel. We were contacted to see if we could help with regard to their war memorial which names fourteen men from the Oakworth area who died during the Great War and two men from the Second World War. 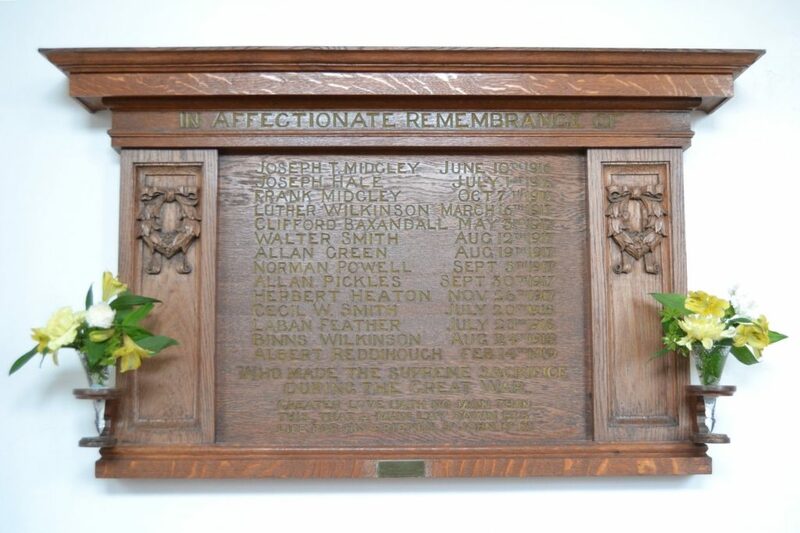 We spoke to members of Oakworth Community Trust and they agreed that Oakworth Village Hall (formerly Holden Hall) would be the best place for the memorial to be on permanent public display and after cleaning and polishing it will be installed very soon. The church members are pleased with this outcome and arrangements have been put in place to install it on Friday 20th July 2018.